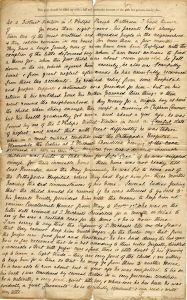 This blog – written by one of our volunteers, Rod Cooper – takes a look at The Children’s Society Archive and the recognition by UNESCO of its historical importance. Sharing company with the likes of the Death Warrant of King Charles I and the 1689 Bill of Rights, it is a measure of the status and historical importance of The Children’s Society’s Archive that it too, has been inscribed on the UK’s Register of UNESCO’s Memory of the World; an internationally recognised listing instituted to preserve, protect and ensure availability for posterity valuable archival and library collections. Memory of the World promotes the need to safeguard the world’s documentary heritage against, collective amnesia, neglect, the twin impacts of time and climatic conditions, and intentional and conscious destruction. The Memory of the World Programme was instituted by UNESCO (the United Nations Educational, Scientific and Cultural Organisation) in 1993, and the inaugural entry onto its Register followed in 1997. To date there are something of the order of 70 entries on the UK’s own Register. Qualification for inscription on the United Kingdom’s own Memory of the World Register is overseen by UNESCO’s UK National Commission (UKNC), which meets once a year to assess and evaluate nominations submitted by institutions from across the country. Numerous criteria are considered by the UKNC during the audit process, including the age of the archive or collection under review, and the location and people involved – a recognition that these criteria may reflect significant social or cultural change, description of physical environments long-since vanished and significant aspects of human behaviour and social development. Other important criteria include the subject and theme, the form and style, and the social significance of the material under review. The Commission also consider the rarity and integrity of the collections submitted for review, plus the threats to their survival and the plans relating to future conservation and preservation. 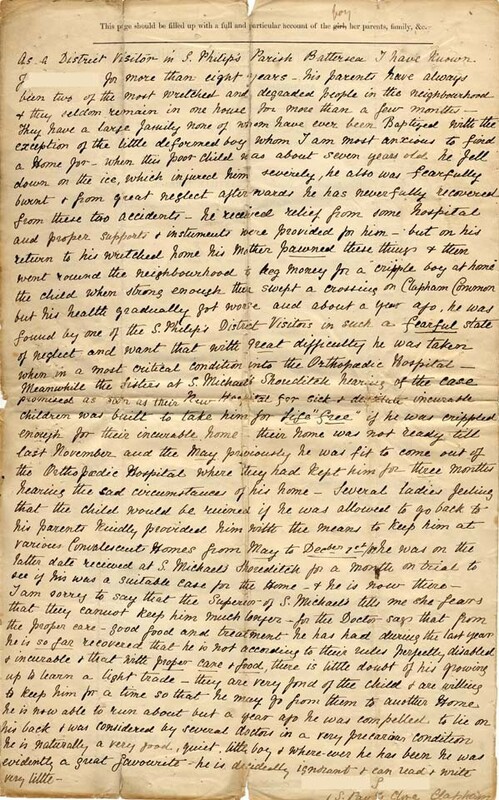 The range and breadth of the The Children’s Society Archive is extensive, including accounts and records of individual homes, an extensive collection of photographic material, and documents and correspondence reaching back to Edward Rudolf’s first tentative steps in establishing the Waifs and Strays Society in 1881. 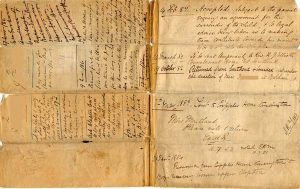 Perhaps the most attractive and compelling aspect of the Archive – its cornerstone, in fact – are the individual case files relating to all those children taken into the care of The Children’s Society during the century period from 1882 until the 1980s. Not surprisingly, it is this particular element of the collection that attracted the greatest attention from the UK National Commission. The collection – much of which has undergone significant conservation and archival cataloguing in recent years with funding from the Wellcome Trust between 2013 and 2015 – comprises an estimated 140,000 case files recorded on paper and microfilm, each recording the individual experiences of children coming under the care of The Society. And with relatively few files missing to the collection (either to damage, decay or loss) the archive records a seamless history from the earliest days of The Society. As such it and contains unique information about the history and practice of childcare, behavioural and mental health issues, the diseases of poverty, nutrition, and children’s mental and physical development in Victorian and Edwardian times. 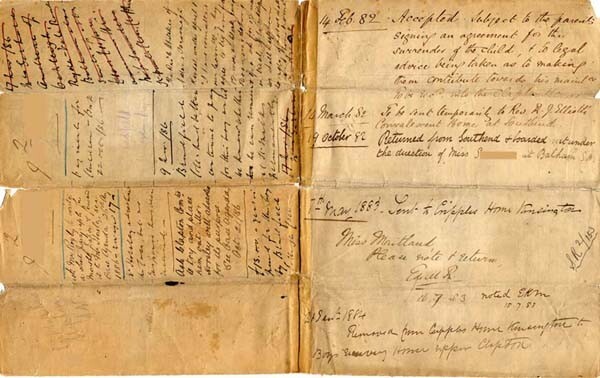 These case files, coupled with the wider collection which covers the transactions of The Society and individual homes and initiatives, also document The Society’s response, and as such record pre-Welfare State philanthropic and medical responses to poverty, disease and disability. The award of a place on the Registry was made on 23 May 2011, and followed a period in which there was a detailed and rigorous evaluation of the Archive’s collection. The subsequent elevation of the Archive to the National Commission’s Registry, and its entry on the Registry’s website, not only reflected the Archive’s status and value, but also promoted its potential as a resource to researchers, institutions and historians interested in changing social norms and conditions over a hundred year period extending from the 1880s. 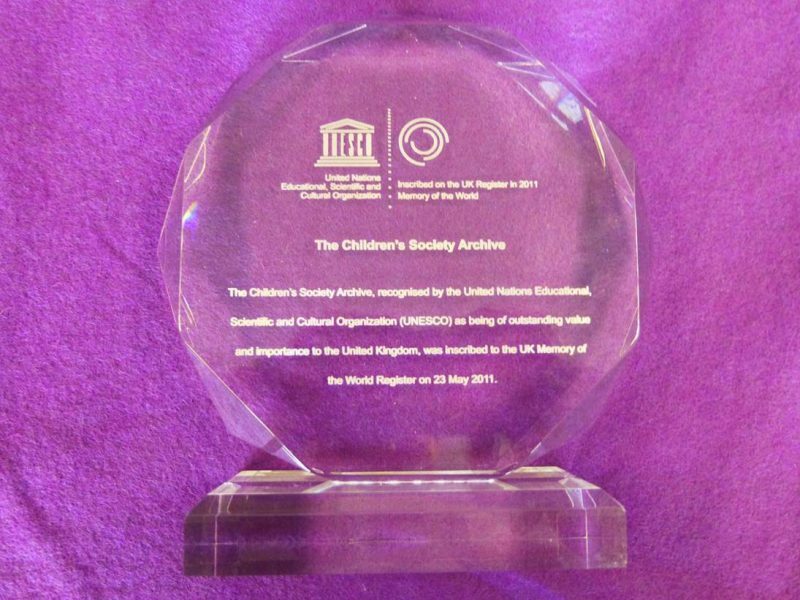 And indeed, in the period since the award, The Children’s Society Archive – bolstered too by the parallel development of its Hidden Lives Revealed website – has been the recipient of increased interest and recognition of its social and historical significance. Community Homes – new clothes, old idea? 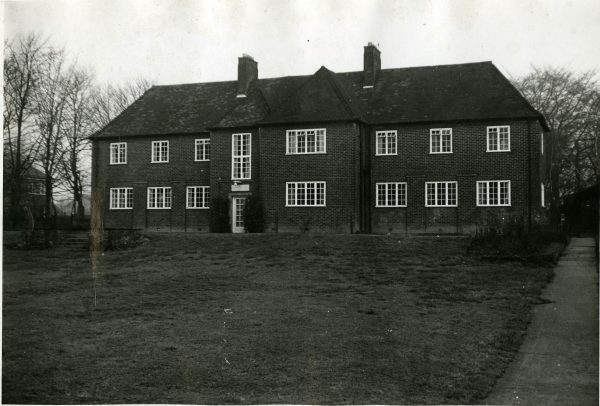 Another in the series of our blogs – written by one of our volunteers, Rod Cooper – that takes a look at the history of The Children’s Society’s former children’s homes and social work projects since 1881, this one featuring the charity’s work with the Community Homes System in the 1970s and 1980s. By the late 1960s the longstanding structure of The Children’s Society, comprising numerous small homes and nurseries located throughout England and Wales, was coming under stress. The numbers of children entering the homes was falling and homes that had been established for many decades were becoming increasingly outmoded and expensive to maintain. On the one hand the number of younger children requiring nursery places was falling significantly; the consequence of a more liberal society’s acceptance of single-parenthood, the increasing availability of the contraceptive pill and the legalisation of abortion in 1967. Whilst on the other, the success of The Children’s Society’s own policy of BOWAVTA – boarding-out with a view to adoption – was impacting on the number of older children remaining in its homes. It was at this time that the Labour-led government of the day, through the agency of the Children and Young Persons Act 1969, signalled the launch of a partnership between the state and the voluntary sector entitled the Community Homes System. The system was administered centrally by the recently created Department of Health and Social Security (DHSS) and was co-ordinated via the establishment of twelve Regional planning Committees (RPCs), each overseeing the residential needs within their own area and providing residential resources within a network of both local authority and voluntary sector homes. 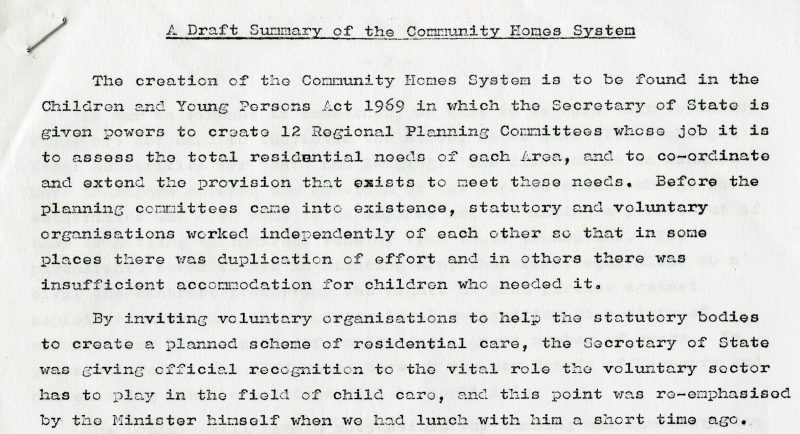 Donald Bowie discussing the idea of the Community Homes System in 1972; he was Deputy Director of The Children’s Society at the time. Initial reaction within the voluntary sector was not welcoming and in some quarters there was a reluctance to work within a centralised system. Among long-standing and well-known charities such as The Children’s Society and Dr Barnado’s, there was the concern that the Community Homes System represented the’ nationalisation’ of residential care, and that that less independence would result in a loss of identity and diminution of voluntary donations, along with well-established fund-raising networks. For other charities this was perhaps a lesser concern. The Roman Catholic Church, for example, certainly didn’t fear for its status or standing; and for the National Children’s Homes, there was already an established working relationship with local authorities. Nonetheless, in the three years leading up to the launch of the Community Homes System in early 1973, each of these various bodies met together collectively and with the relevant government department to discuss and co-ordinate their approach. Off-setting the concern of potentially being absorbed within an all-encompassing national system, was the fact that voluntary bodies were not compelled to join, nor were they penalised for opting out. Providing and nominating homes for inclusion within the Community Homes System was entirely voluntary and a decision left to the charities themselves. Hence, voluntary bodies were free to pick and choose which homes to propose to the local Regional Planning Committees. 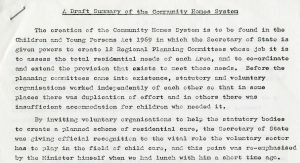 With this being apparent, it is not inappropriate to suggest that for The Children’s Society, the Community Homes System provided a means of extending the life of a number of its homes. The process by which local authorities adopted The Children’s Society’s homes for inclusion in the Community Homes System was not straightforward and a number of homes were rejected by local authorities or were considered by The Children’s Society as unsuitable in the first place. By the end of 1971, for example, twenty homes had been accepted by Regional Planning Committees, a further eighteen were still being considered for inclusion, and thirty-one had either been rejected or considered unsuitable by The Children’s Society in the first case. By the time the scheme started in 1973, a total of twenty-two Children’s Society homes were included in the Community Homes System. Inclusion within the Community Homes System impacted on the way a home was administered; significantly, a well-established feature of a Children’s Society home – the Home Committee – was replaced by new Boards of Management. 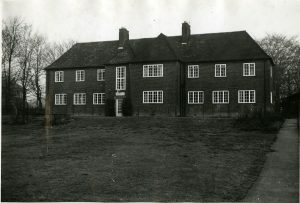 These comprised nine individuals; six from The Children’s Society and three from the relevant local authority, and they operated within the remit of a home’s Instrument of Management – the contract between The Children’s Society and the RPC which governed such areas as staffing, admissions and finance. The contracts followed a standardised format, though there was scope for negotiation or variation of the terms, including such aspects as the rates a voluntary body could charge a local authority for accommodation. The initial balance struck established a weekly ‘bed rate’ of £21.77 for the Community Homes, and £30.52 for nurseries (approximately £240 and £335 at today’s values). Moreover, The Children’s Society also levied a fee – at a much reduced rate – for those beds that remained unoccupied whilst earmarked for local authority use. A practice that was not universal throughout the voluntary sector. 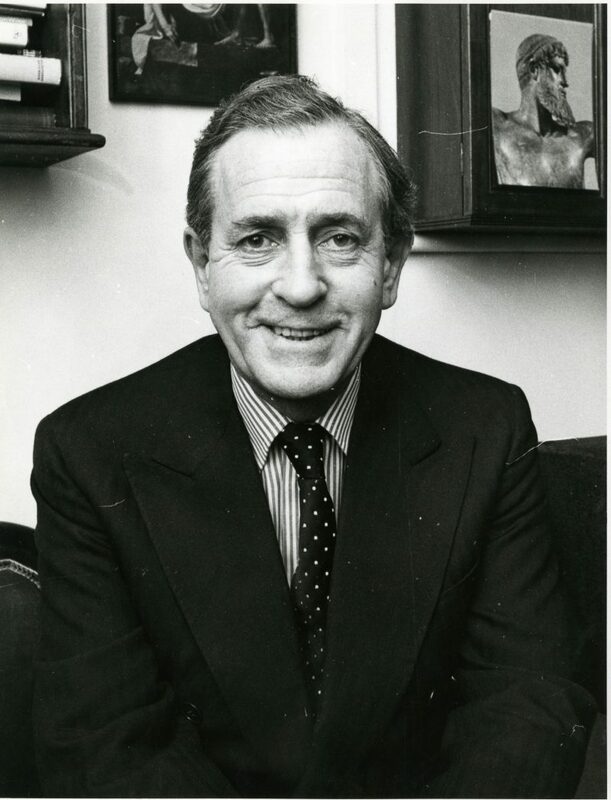 As a measure of the importance of local authority funding to The Children Society, the proportion of the charity’s income provided from this source rose dramatically during the 1970s; from 24% of revenue in 1974 (i.e., approximately £5 million) to around 40% throughout the early 1980s. The figure only fell to below 20% at the turn of the century, reflecting the long-term decline and closure of The Society’s residential homes during this period. Indeed, the last of these – Ryecroft – closed in 1997. Of the legacies resulting from the Community Homes System, perhaps the most obvious was that it allowed The Children’s Society to maintain its residential homes for a longer period of time, many of which had been established before the end of the nineteenth century. Probably more important, however, was the short-term stability it provided The Children’s Society at a time when it was establishing its strategy for change and development throughout the 1970s and 1980s, particularly with respect the development of family centres and specialised services for young people. Complimenting this, the experience of working and co-operating with local authorities through involvement in the Community Homes System, arguably brought The Children’s Society into the new world of providing children and young people’s services for local authorities. By forging these new ties and working alongside and sharing expertise with other bodies, it was better placed to reach-out to local authorities and create new social work projects to assist children and young people into the 1980s and beyond.